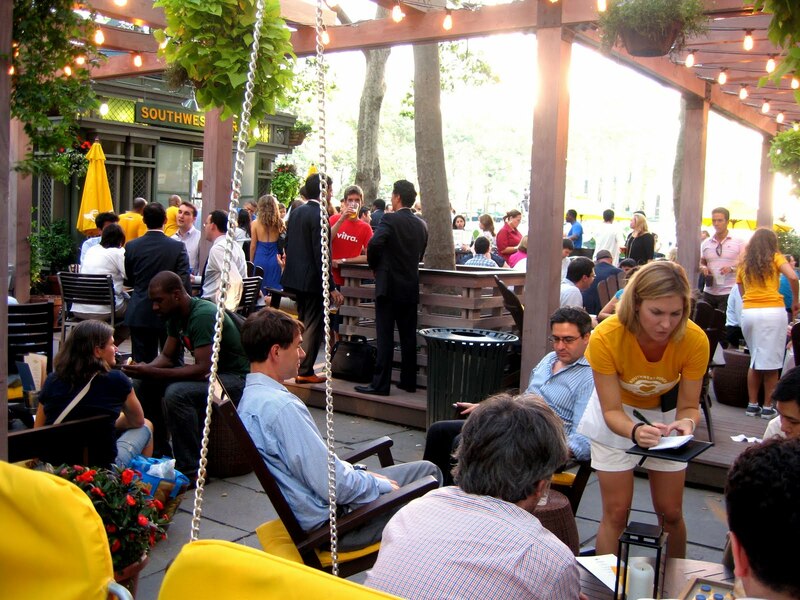 The Southwest Porch has become such a popular Bryant Park amenity, it's hard to believe it's only one year old! Next week, Southwest Airlines and 'wichcraft will be celebrating the one year anniversary of The Porch and a successful first year of Southwest service from LaGuardia Airport. The week-long celebration at The Porch includes daily giveaways, special prizes, and more. Stop by on Monday, June 28, for the chance to win Yankees tickets, show off your Southwest Airlines iPhone App to get a free appetizer during "Appy Hour" on Wednesday, June 30, and don't miss the big Porch Cookout on Thursday, July 1, featuring complimentary sliders and sweet treats served up by 'wichcraft. Click here for all the celebratory details from Southwest. UPDATE 7/1/10: The Southwest Porch Cookout on July 1 will take place from 6pm to 8pm or until supplies last.